…but i will give everything for it to become reality. more music and politics from germany. so bap from the last post might have been my idols back in the days (and i can only repeat that the new record is really good – interesting to note that it has a very touching song about new york…), but there is actually a tradition in political popular music in germany. there would be a couple of names to drop, but there is especially one man which fits perfectly into the program of this blog. the singer of this band, rio reiser continued to make music under his name. the music changed again: it became pop. maybe also under the influence of a certain annette humpe, who co-produced. the record was a huge success, and rio reiser suddenly a popstar. he recorded a couple of more records, which got (again) more and more complex and “difficult” and darker – and committed therefore something of a commercial suicide. 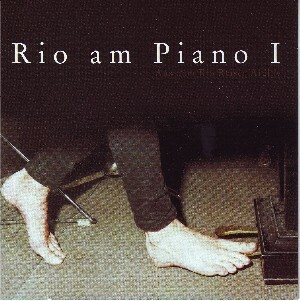 in 1996, at the age of 46, rio reiser died. another uneasyness regarding the status of rio reiser is that he is now being treated like an idol: if wolfgang niedecken of bap might can be compared to bruce springsteen, then rio reiser could be compared to john lennon. like lennon, reiser’s songs are now treated as the ultimate protest songs. but like lennons songs, the protest is always tied to an utopian outlook. the lyrics are not harsh, they are actually believing in a better world and rather upbeat. that brings the problem that – especially since both artists are death – these songs can easily be used for whatever. wolf maahn mentioned already many years ago that hearing john lennon at the shopping mall is…irritating. i guess it is the usual problem of what stays as the legacy. and with rio reiser what stays are the ballads. the more aggressive stuff (especially with ton steine scherben) is still not played on the radio. forgotten – or rarely mentioned are his clear political views, his call of a boycott of bavaria after one of the stupid and evil csu-ministers called for camps for aids patients (ironically that was the “cuban solution”), or his becoming a member of the ex-/post-communist party after the fall of the wall to protest the steamrolling of the people of east germany… all this seems to be something of an embarassement today (alhtough it was reason enough to boycott him at the time). 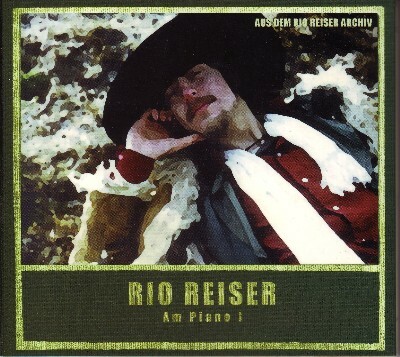 so – if you want to have a listen i ripped for you rio reiser am piano I. you can get it here. and if you like it: there is more, a lot more. again you can just head over to der likedeeler. you’ll find i believe everything concerning ton steine scherben and rio reiser…yeah! for more on rio reiser you can visit the official homepage. for a lot of material about ton steine scherben, rio reiser, and related i recommend the amazing archive over at riolyrics. since most material is in german, i picked for the more international reader an article in english, the obituary from 1996 by denis staunton (the guardian) with some more information.